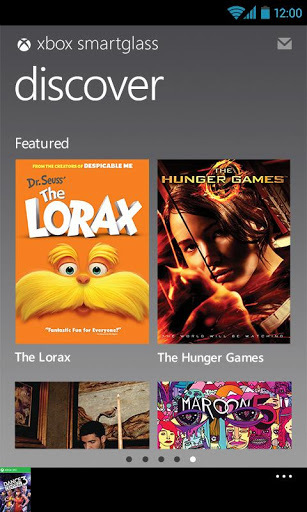 Microsoft has today released Xbox SmartGlass app for Android mobile phones. The app lets you use your Android mobile phone to enhance your games and entertainment experience on Xbox 360. You can download Xbox SmartGlass either directly to your Android phone or first to your computer and then to your Android phone. To use SmartGlass for Android, your phone must have Android 4.0 (Ice Cream Sandwich) or later installed. Xbox SmartGlass turns your mobile phone or tablet into a second screen that intelligently interacts with your Xbox 360 to elevate your entertainment experience. Xbox SmartGlass allows for your devices and TV to talk to each other to enhance your favorite TV shows, movies, music, sports and games.